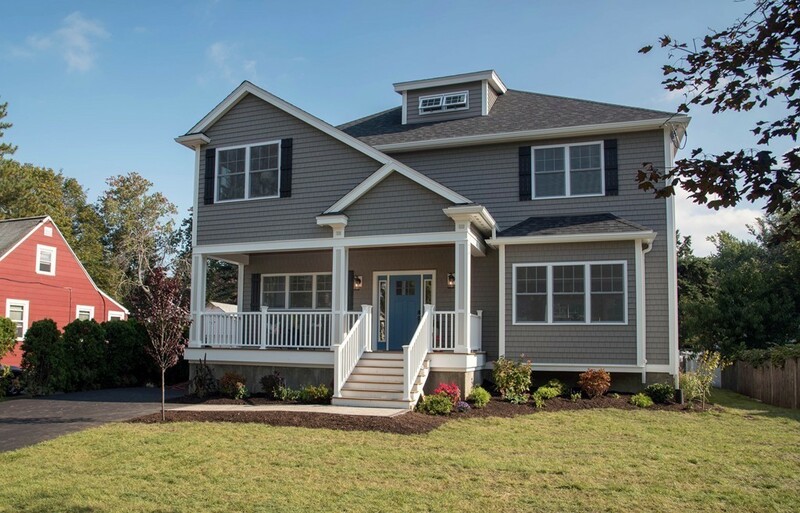 Evergreen Design Group is pleased to offer New Construction in Melrose, situated near the award winning Lincoln elementary school, walking distance to commuter rail, Oak Grove and quintessential downtown Melrose! Evergreen Design Group's new homes are thoughtfully constructed with your needs in mind. Partnering with a professional interior designer, this home features stunning finishes throughout. Perfect for casual family living or easy entertaining, these bright, airy, stylish spaces are multifunctional and fun! Designer kitchen blends porcelain farmers sink with quartz counters and polished nickel finishes to create a casual yet sophisticated feel. Master bedroom boasts two walk in closets, marble vanity and oversized shower. Generously sized, the professionally landscaped lot is complete with patio, offering plenty of space for your next gathering. Come experience the unparalleled design and quality craftsmanship that Evergreen Design Group delivers. between listing info & floor plans.